For years you’ve been suffering from lacking confidence because of your imperfect smile. You find yourself shying away from photos, feeling uncomfortable with communicating with people and hesitating to pursue career goals – all because of aesthetic flaws. Your reservations are warranted given that one-third of Americans say that the first thing they notice about a person is his or her teeth. Thus, your dentist in Fort Worth offers the amazing benefits of porcelain veneers to provide you with the look that you desire. In addition, she will also discuss the best ways to ensure their longevity. Porcelain veneers are thin ceramic shells that are custom made to address slight chips, misaligned, crooked, gapped or stained teeth. The process begins with your dentist shaving a slight layer of enamel and then takes an impression to send off to a lab so that your new fixtures can be fabricated. You’ll be fitted with temporary veneers in the interim and once your permanent shells are ready, you’ll return to your dentist to be fitted. Oral Hygiene – Veneers are resistant to staining, but your underlying teeth are still subject to decay, which can compromise the longevity of your veneers; so it’s important to maintain excellent oral hygiene, which involves brushing and flossing your teeth at least twice a day. Wearing Oral Protection – Another way to protect your veneers is by wearing a mouthguard if you’ll be participating in any type of sport that could involve a collision. Sudden trauma to your mouth could damage your perfected smile and lead to a dental emergency. Don’t Use Teeth as Tools – Using your teeth as tools can lead to damaging your porcelain veneers and can also cause a dental emergency by chipping or breaking your underlying teeth. Address Teeth Grinding – If you have an issue with teeth grinding, it’s best to seek assistance so that you don’t run the risk of wearing down your precious enamel and damaging your veneers. 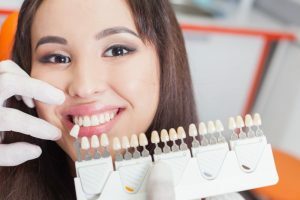 By following these guidelines and being sure to visit your dentist regularly for cleanings and checkups, you’ll be actively working to improve the longevity of your porcelain veneers of Fort Worth and maintain a perfect smile. So to get the process started, just reach out to your dentist and prepare to wow the people you meet and enjoy a new life full of confidence! A native of Arlington, Texas, graduating from Lamar High School, Dr. Renee Corbitt earned her Doctor of Dental Surgery degree from the University of Texas Health Science Center San Antonio Dental School. She followed that by completing UCLA’s Sleep Medicine mini residency and has continued learning every since. A member of the American Dental Association and several professional organizations, Dr. Corbitt cares for patients from ranging in age from 1 to 92 at Renee Corbitt, DDS General Dentistry and can be reached for more information through her website.